Someone gave me a salad spinner at some point. It may have been a wedding gift or a baby shower gift — or a holiday gift. I really don’t remember (and hopefully whomever gave it to me isn’t reading this now (and if you are, sorry! )), but it’s been shoved in the back of one of the various cabinets of the houses I’ve lived in over the years. Last weekend I decided it was time to let that never-been-used salad spinner find a new home. But before I was able to cart it off to our local donation spot, the tot decided it was her new favorite toy. And the minute she discovered that she could make it SPIN, she wouldn’t let it out of her site. After we did a bit of good ol’ spin art, I thought it might be fun to give the colorful project a bit of a twist. 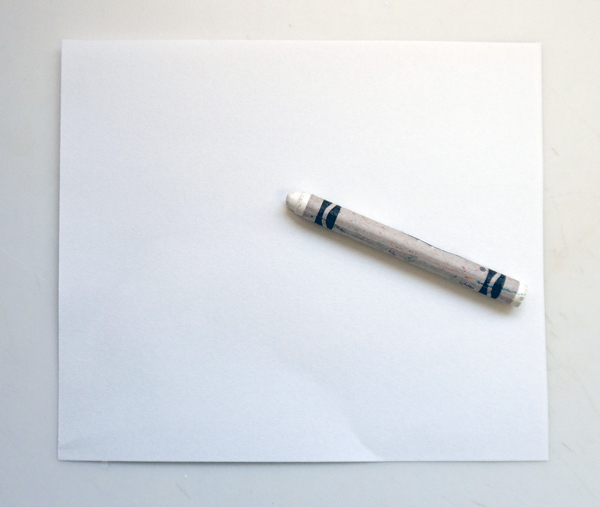 I cut a small square of white paper and then drew a picture on it using a white crayon. Then I popped the paper in the spinner and invited the tot to drip water-downed watercolor paint over the picture. I knew I had drawn a collection of fishes, so offered her shades of blue. 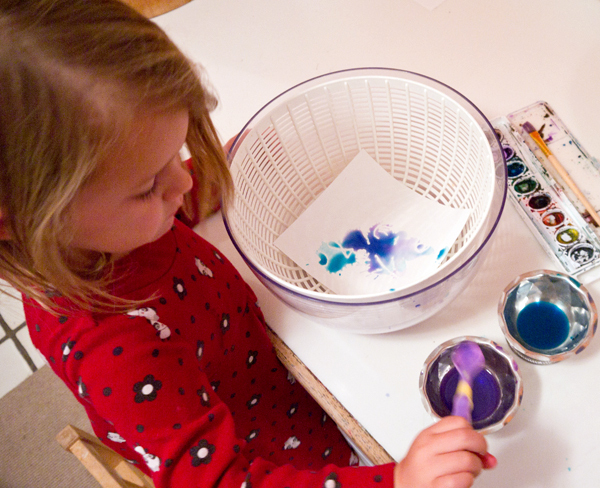 After she was happy with the amount of paint she’d dribbled over the paper, she spun and spun that spinner. 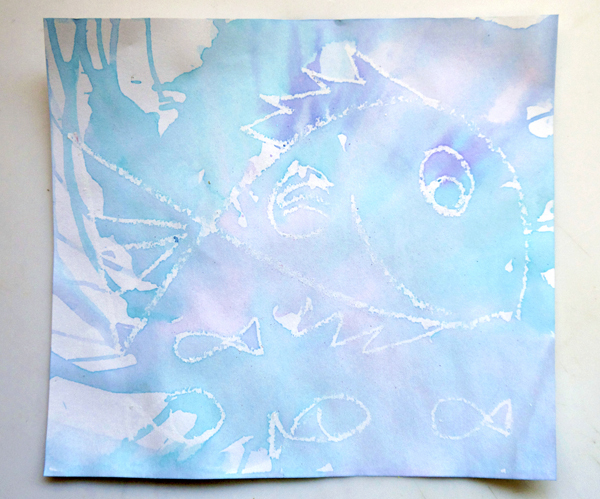 Expecting to discover a wonderfully colored creation, my tot squealed when she saw the fish that had appeared on the paper. And, of course, she wanted to do it again, and again, and again. Because crayons are made from wax, they push away the liquid paint (oil and water don’t mix, right?) creating a fun resist artwork. Your child can experiment with creating lots of drawings in white, use black crayons to make dark outlines, or lots of colors to draw exciting creations and then pop in the spinnner for lots of colorful fun.